Today, financial markets are closed in the US to honor the passing of President George Herbert Walker Bush. But the end of yesterday’s trading was enough to push average mortgage rates today a little lower. Much of the scheduled economic reporting has been moved to tomorrow. Today should be quiet on the financial front. We will get the so-called Beige Book at 2 PM EST, containing notes from the last Fed meeting. It can indicate what the Fed members are thinking, and possibly show a change in planned rate increases. Financial data are mostly suspended today in honor of our 41st president’s death. 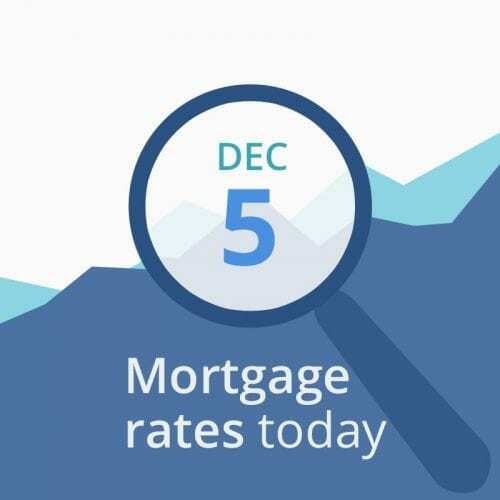 Mortgage rates are unlikely to move much today because there will be little trading. You may want to float another day if that will get you into a better tier (for instance, drop from a 45-day lock to a 30-day, or a 30-day into a 15-day lock). But if closing soon, current rates are attractive enough to feel good about.